Crescent Ulmer is a folk songwriter that travels like a blues-man, a troubadour of sorts, living life with a mantra of spontaneity and honesty. It is no wonder that they are known for their raw, acoustic sound and sincere, real-life songwriting. In one show, expect to laugh and cry, sometimes simultaneously. 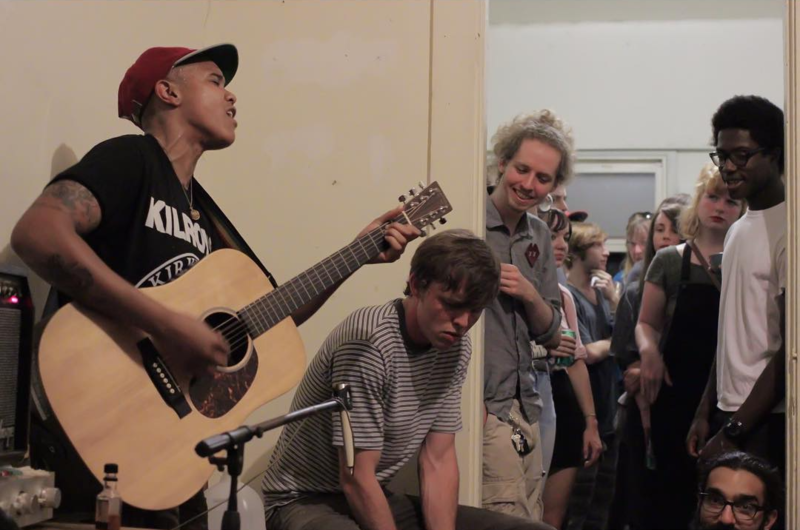 Crescent's first album, Creature Comforts, was funded by a successful crowdfunding campaign after being voted Bloomington, Indiana's best songwriter in 2014. The album gives a window into their life as a teenager struggling into a young adult -- searching for direction and purpose. "As an entire body of work it really defined who I had been and the journey of introspection I was going through," Crescent observes. While struggling with issues such as sexuality, Crescent was balancing their first heartbreak, excessive partying, drugs, and alcohol. "There was a lot of shame that I felt living that way and that's what I wrote about," states Crescent. Crescent Ulmer started out writing thoughts, poems, and short stories on scraps of paper. At 15, they were given a guitar by a friend and that was when the floodgates of creativity opened. Within a month, Crescent was writing dozens of songs. "I didn't even know how to tune it at first, I would just sing over the strings" notes Crescent. Crescent spent much of 2015 focusing on personal/professional development and improving their songwriting, music theory, and guitar discipline. "I'm not afraid to get on stage, share my story, laugh at myself, and create a space that encourages others to do the same. It is all about connecting with other people, building relationships, and the honesty of the experience."